Cycling - Look what I made! There is nothing like a challenge to create a love of something. Keep that thought in mind during this story. My brother lived in San Francisco, California back in the 90’s. When I visited him, I realized how much I envied the fact that he had no car. He walked to work and showed me pictures of all he had seen from a bicycle. It took me back to a conversation that I had with my dad when he said if you want to drive, you have to pay for the gas in the car. Since I was financially challenged, it seemed like a bicycle would be a great idea. I have never forgotten that conversation. I have never forgotten how much I liked the idea of cycling…particularly in California. When the opportunity opened up to get a job within five miles of my house, I set out to get a bicycle. I only make purchases when I think the use will justify the expense. I wanted quality. I visited several times. Finally, I pulled the trigger and got my first Trek, a 700 hybrid. I held onto this bicycle until October of 2006. It had about 800 miles on it and I thought that I had justified the purchase already. It was stolen off my front porch right when my doctor said I had to give up walking due to my knee surgery and subsequent blood clots. He said cycling was better for the joint…he meant indoor…I heard outdoor. 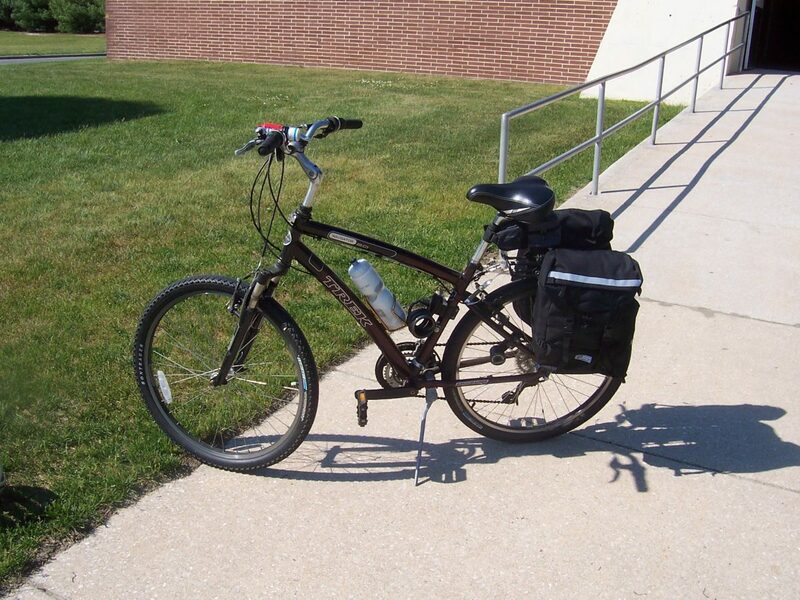 I purchased my Trek Navigator 2.0 in April of 2007. It was a step down to a comfort bike…because…well…I was getting older. I rode this to and from school (work) whenever possible. I put 5475 miles on it before the frame cracked in July of 2011. I got it replaced from Trek because the frame was guaranteed for life. At the same time, I thought that 5,475 miles in 5 years meant that I justified an additional purchase…an upgrade if you will. I realized…I am not as old as I thought. I purchased a Trek 7300 hybrid bicycle in July of 2011. I currently have 15,000 miles on this bicycle and counting. Additionally, the replacement bike for my Navigator has an additional 2,200 miles on it. That navigator has been shipped to Palm Springs, CA where I intend to retire. Most of my cycling has been to commute to work. Additionally, I have ridden from my home to the Ocean City, NJ and back, home to Cape May, home to my parents house (my childhood home), to my attorney’s, to my daughter’s college, to Philadelphia Phillies baseball games, and been part of the American Cancer Society Bridge to Beach Bike-a-thon. I have ridden in Canada, San Francisco, Palm Springs, and over 22,000 miles in total. I don’t consider myself an athlete, but the benefits to my health cannot be overstated.